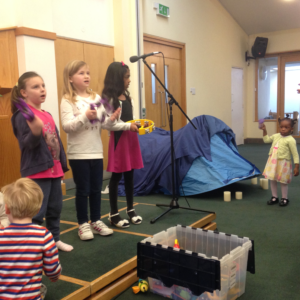 Our church can provide many opportunities for people of all ages to contribute to our worship and praise throughout the week and in particular our Sunday services. 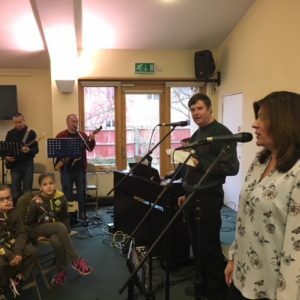 We have been blessed with a number of talented folk who give up their time to support and lead our congregation in song to celebrate God our Father. It may be you feel God 'nudging' you to use your musical or artistic talents. We would like to hear from you! Be brave and reach out to contact one of the various teams below or speak to the clergy and see how you can support us. If you really enjoy singing or playing traditional hymns then the team would invite you to come along and be part of the Choristers - you will even get to wear one of the specially made robes. 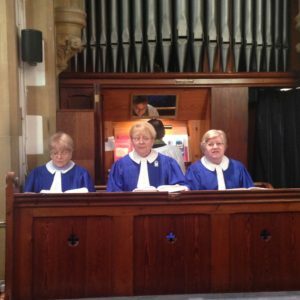 They occasionally meet to practice new hymns but always sing on each Sunday at St Mary's church to a packed congregation and fantastic acoustic environment. If you like singing more modern worship songs, with drums, guitars, sax, piano, then this could be the Church group for you! The St Johns worship team meet regularly to practise most Wednesdays from 8.00-9.30pm. If you enjoy singing or can play an instrument why not come along to one of our practices and meet our friendly team. 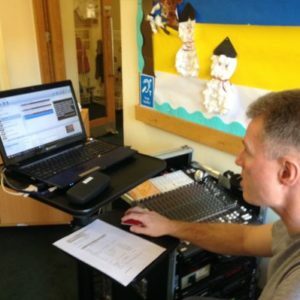 You may not be musically gifted but if you are technology savvy - you can use a PC - and have a good ear then we have a role for you within the AVTek group. We will give you training and provide coaching while you get used to the systems we run. Now is a great opportunity as we are planning to update our equipment to be fully digital.